These butterflies are pretty in this rosy pink theme. 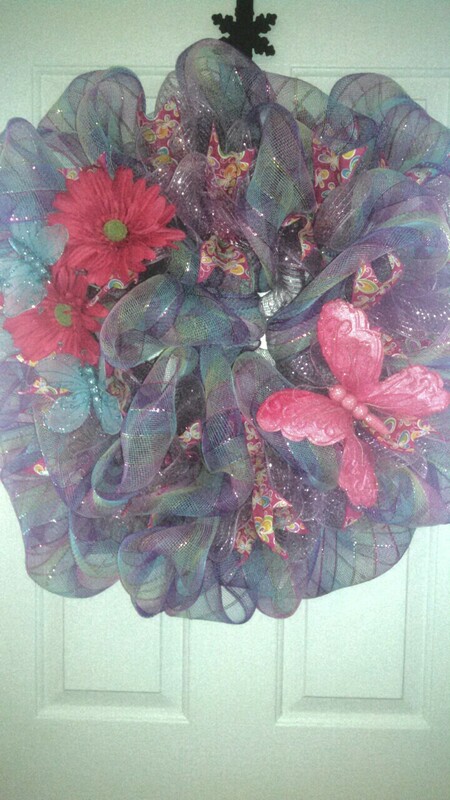 The wreath measures 39″wide and 10″ in height. It is available for $75, (shipping cost not included).